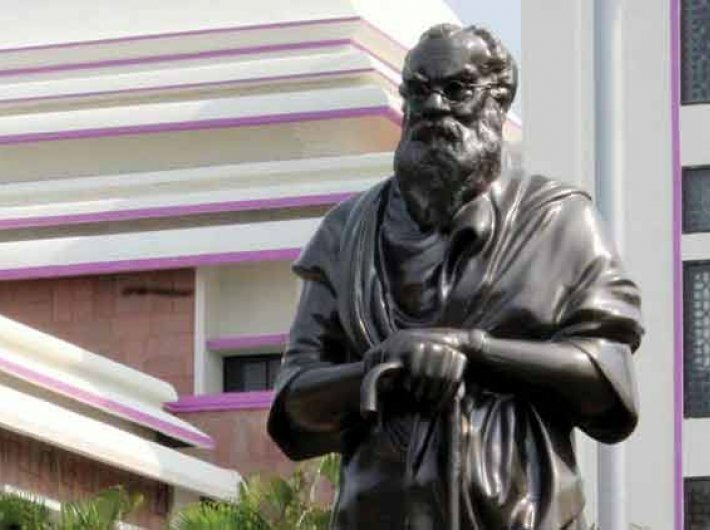 A statue of Dravidar Kazhagam founder and social reformer Periyar E.V. Ramasamy was vandalised in Tamil Nadu, just days after Russian leader Lenin’s statue was toppled in a Tripura town. PM Narendra Modi has strongly condemned the vandalism. Wednesday also saw the sacred threads of 10 people being cut off by a group in Triplicane near Chennai. Modi said stern action will be taken against those found guilty. The prime minister spoke to home minister Rajnath Singh and expressed his strong disapproval of such incidents. A PIB statement said that incidents of toppling of statues have been reported from certain parts of the country and Rajnath Singh has expressed his strong disapproval of such incidents. The home ministry has asked the states that they must take all necessary measures to prevent such incidents. Persons indulging in such acts must be sternly dealt with and booked under relevant provisions of law, said the authorities. The incident in Triplicane near Chennai took place on Wednesday following a Facebook post by BJP national secretary H Raja on Tuesday in which he threatened to destroy statues of Periyar in Tamil Nadu, like Lenin’s in Tripura. “All the 10 were either bare chested or were returning from a temple nearby. The men had raised slogans praising Periyar. Police teams are searching for the gang now,” Indian Express quoted a police officer as saying. After Raja’s statement, a Periyar statue was vandalised in Vellore on Tuesday night and petrol bombs were hurled at a BJP office in Coimbatore in the early hours of Wednesday. According to the police, Francis, town deputy secretary of the CPI, and Muthuraman, town secretary of the BJP, reportedly hurled stones at the statue. The duo were relatives and were drunk. The statue bore a slight damage on the face and hands, the police said, reported The Hindu. "Who is Lenin and what is the connection between Lenin and India? What connection has India with Communists? Lenin's statue has been removed in Tripura. Today it is Lenin's statue in Tripura, tomorrow it will be the statue of caste fanatic EVR Ramasamy," Raja had written in Tamil on his Facebook page, along with a video of Lenin's statue being brought down in Belonia town in Tripura. The BJP leader, however, deleted the Facebook post after facing huge backlash in Tamil Nadu, reported NDTV.